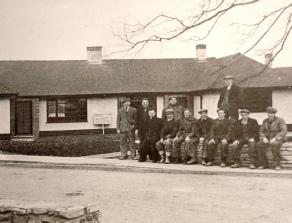 Established in 1945 for the first 15 years, with the urgent need for housing after the war, the company was heavily involved in house building construction in excess of 100 houses per year. This was supplemented with commercial projects for shops, garage showrooms and workshops, public houses, offices and farm buildings. In the early 1960's the company added to its expertise constructing buildings for the food industry. Upon joining the EEC we studied all the new regulations relating to the food industry which accelerated our involvement in building food processing factories for red meat, poultry and vegetables together with abattoirs, cold stores and related amenities and offices all of which continues to form a major part of our workload today. The company is also experienced in building schools, commercial and private swimming pools with amenities, church extensions, surgeries, hospital extensions, large one off houses, sports centres and work on listed buildings. We continue constructing all the types of buildings mentioned above and a full list can be viewed under "What we do"
Our company is run by professionally qualified (RICS, CIOB and BSc) staff. Our experienced tradesmen comprise, bricklayers, joiners, plasterers, ground workers, painters and labourers. We have a joinery workshop fully fitted out with machinery and staff to produce high quality purpose made joinery. We have accreditation for Constructionline, CHAS Contractors Health and Safety Assessment Scheme and are SafeContractor approved. These are national qualifications which are not only accepted by private clients but are a pre-requisite to tender for government contracts, Local Authority and County Council contracts. Having obtained these qualifications they accredit our financial stability, capacity of size of contract (based on our financial stability, previous contracts and references), quality of workmanship, Health and Safety Systems, Environmental Policies, Insurances in place, construction excellence, professional conduct, labour relations, equal opportunities policy and staff training. We have an excellent record on health and safety and all our sites are well controlled with risk assessments, method statements and COSHH assessments being made for all work processes including likewise control of all subcontractors. We have AUTOCAD qualified staff and can therefore communicate electronically with other IT capable establishments in all formats. We work with traditional forms of building contract, design and build contracts. A large amount of our work is repeat business where we work with our clients on a totally open book principal. We have been nominated and won a number of Local Authority Building Excellence Awards. Above all, we pride ourselves on consistency. 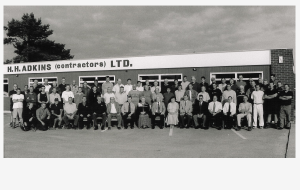 Since 1945 we have been giving professional, quality building services and this has continued to this day. We have developed strong connections with tried and trusted local specialist subcontractors and are therefore able to offer a complete building package to our clients. We are large enough to provide a comprehensive construction services and small enough to ensure each contract is personally supervised by experienced professionally qualified staff.